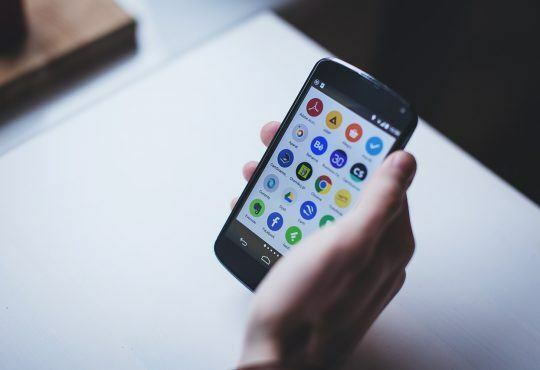 Many Android users are experiencing a scary issue with their mobile devices — they’ve lost their photos stored on their Android cellphone or tablet. 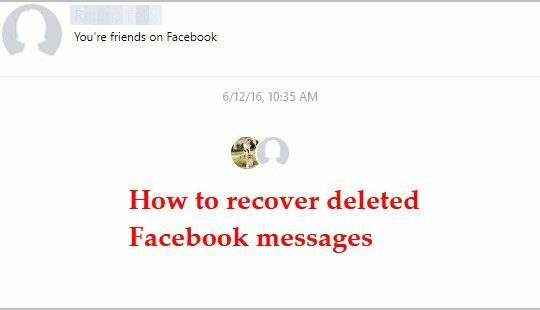 This issue usually happens because they have accidentally deleted their photos or their system or software crashed before. If you are also experiencing the same issue, you must be very annoyed. Those lost photos are very important for you and you desperately want to recover them, but you don’t know how. But don’t worry, you can recover your photos. 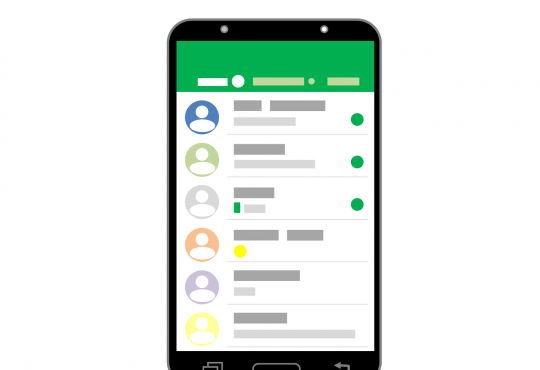 The following are two methods that have helped many Android users. 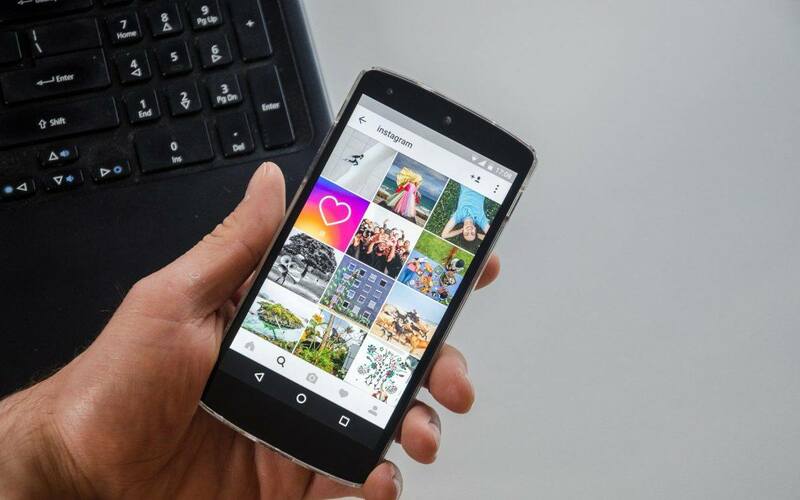 IMPORTANT: Do NOT paste any files or install any application to your device, or your photos will be overwritten and it will be more difficult to restore them. 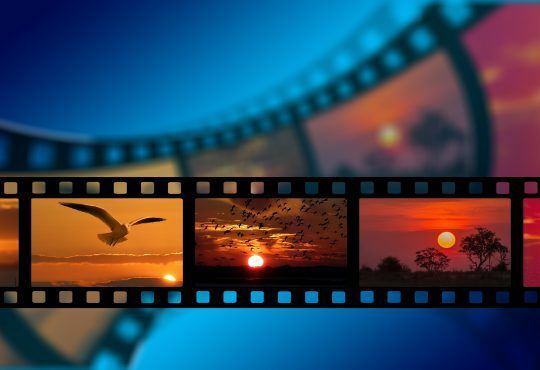 If you are in the habit of backing up your photos using a cloud storage service like Google Driver or Dropbox, your are in luck. 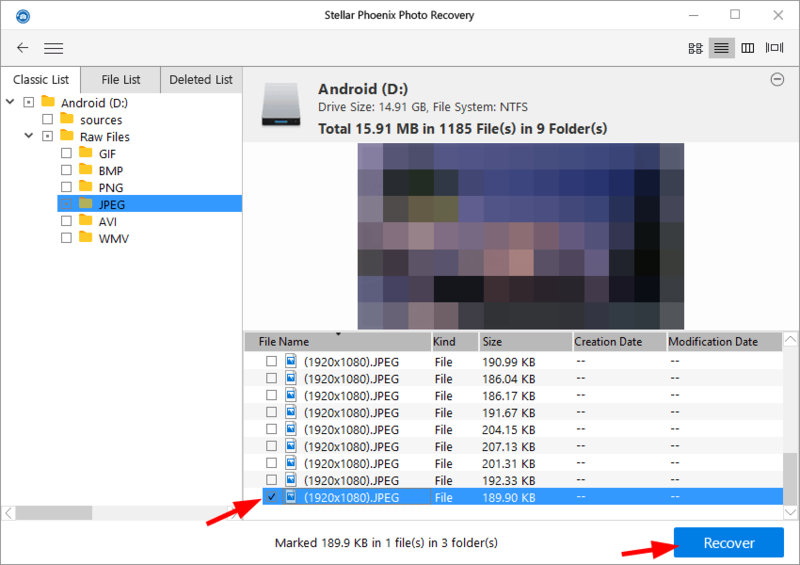 You can restore your photos very quickly on your Android device with no trouble. To recover your photos, just sync your device to the cloud service you use. Then the application will download your photos from the cloud to your mobile device. Your photos will soon be restored. Perhaps you didn’t back up your lost photos on any cloud service. 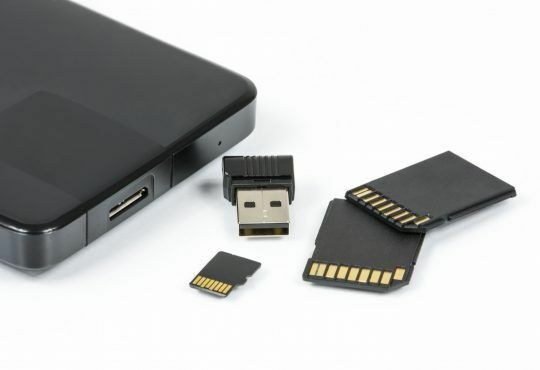 Then you should try a data recovery service to recover your photos on your Android device. 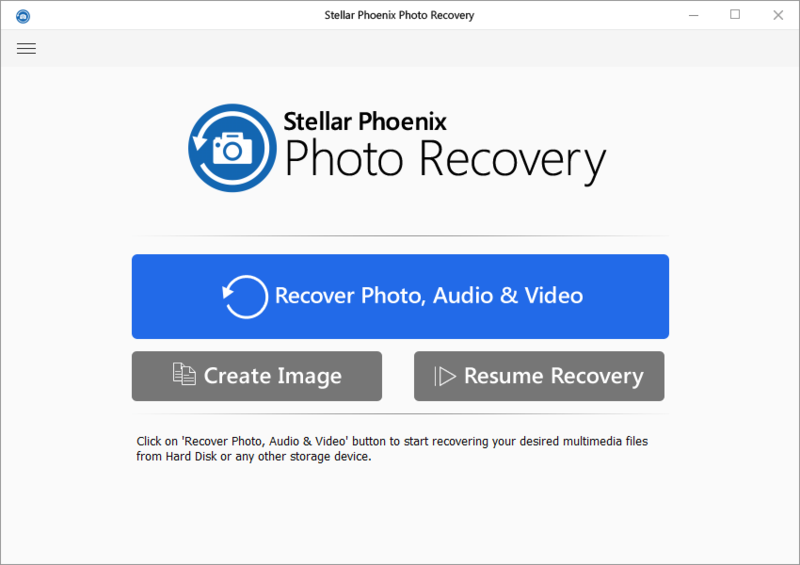 If you don’t have the time to find a data recovery service provider, or if you just can’t find a good one around you, you can use Stellar Photo Recovery. 2) Run the program and click Recover Photo, Audio & Video. 3) Select your Android device and click Scan Now. 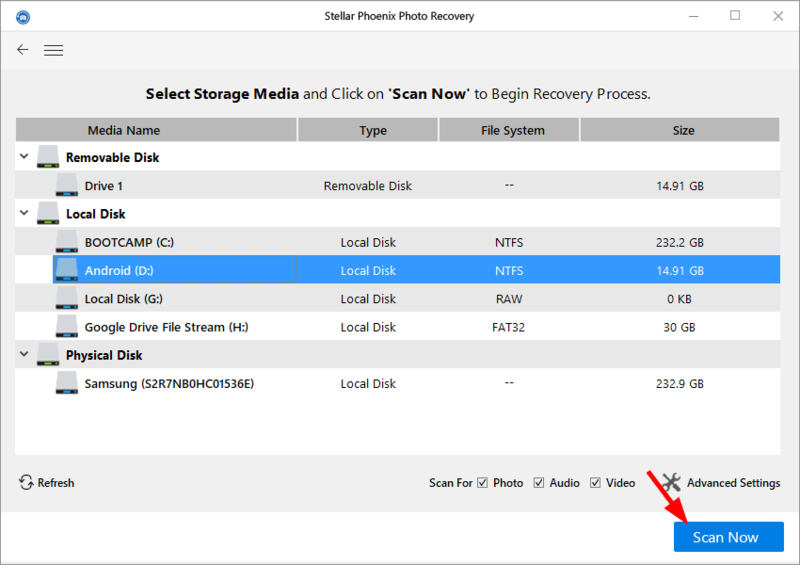 4) Select the photos you want to recover (by selecting the checkbox next to it) and then click Recover (you need to activate the program before you can recover your photos — you will be prompted to activate when your click Recover).